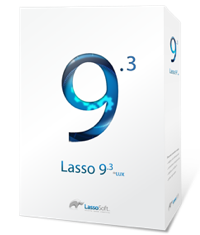 Any software is only as good as the people who use it, and the Lasso product line has been attracting the best and brightest minds in the industry for 15 years now. What’s more, Lasso enthusiasts recognize a good thing when they find it, and not only do they stick with it, they’re committed to bettering the product and the knowledge of the people who use it. The repository of all the official documentation and user articles you could ever need. The destination where Lasso aficionados meet to discuss ideas, postulate possibilities and generally help each other out. It functions across time-zones and countries as a virtual resource and sounding board for ideas. LassoTalk is an email list available as direct messages or daily digest. The LassoTalk history is a deep resouce for trouble-shooting specific application issues. Lasso users spent years enjoying a live AIM chatroom frequented by dedicated lasso developers as a 'virtual office tea-room', where the merit of various ideas are discussed and swapping of code war-stories goes on. Generally if the current chat participants can't help, the idea or question is posted to LassoTalk for the wider community to respond to, or directed to support@lassosoft.com for the official answer. Out with the Old - and In with the NEW! Now LassoChat exists as a channel in Gitter - allowing developers to read back through discussions in our absences and allowing the to connect via apps on multiple devices. The list of Articles written by users in the community provides expert advice, and the Tutorial resources that continue to be developed give the basics to getting started. Add to this the network of Lasso Developers who are becoming Certified, the new memberships for Development Partners, Patrons, and Lasso Escrow - there is a wide and varied offering to people in our community at all levels. We're sure you will find just the right fit for you. Informative, entertaining and always welcoming, the Lasso Community is here for each and every person with an interest in Lasso software, from fledgling newbies to battle-tested veterans. Make your pick of our community options - and come on in and pull up a chair!